Posted September 28, 2012 under Ask the Mediatrician. What should I do when my 8-year-old won’t stop asking me for a cellphone and other gadgets? Posted September 27, 2012 under Ask the Mediatrician. How can I tell if I am being too strict with my kids’ media? Posted September 21, 2012 under Ask the Mediatrician. My 15-year-old daughter is having pornographic conversations online–what do I do? 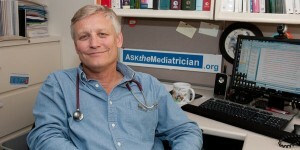 Posted September 7, 2012 under Ask the Mediatrician. Q: I found out that my 15-year-old daughter has a profile on a social network site where she has pornographic conversations with boys. Is this normal teenage behavior? How can I get through to her without driving her further into secrecy?